Baby-boomers have never been ones to miss out on the fun — now many are letting their homes to pay for bucket-list adventures. Now that Britain has voted to leave the EU, will it be harder or easier to get onto the property ladder, how will people with property in Europe be affected, these are just some of the topics we discussed with Matthew Daines CEO of lettingaproperty.com. 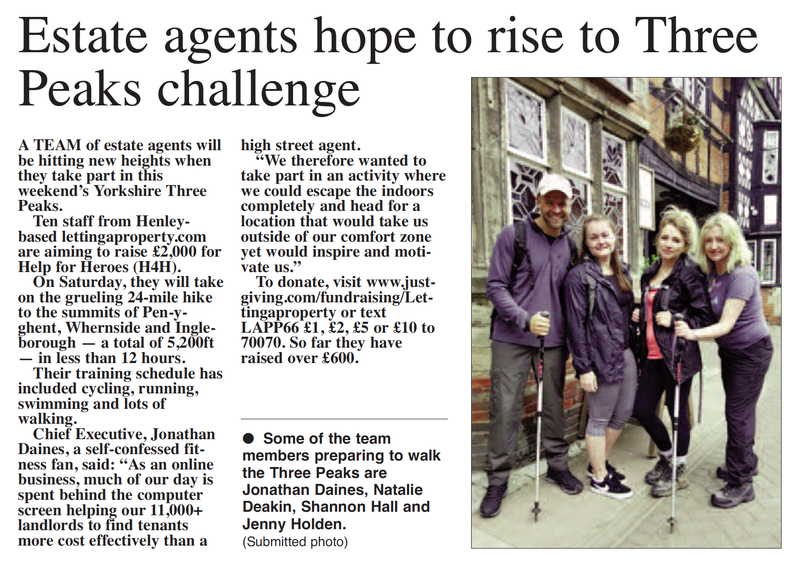 A team of estate agents will be hitting new heights when they take part in this weekend’s Yorkshire Three Peaks. Jonathan Daines, CEO and founder of the online lettings agent, lettingaproperty.com, shares some favourite apps.